The Savior invites all people to the wedding feast of the Lamb, the eternal banquet of heaven. Yet, though salvation is offered to each, yet only few accept the gift and come to the wedding. However, what is most striking about this Sunday’s parable isn’t only that many who are called refuse to be saved, but that even this one who had come was cast out into the darkness. What is the symbolic meaning of the wedding garment which the man lacked? What is our Savior teaching us about the judgment? In this Sunday’s Gospel, our Lord gives us a parable about the kingdom: The kingdom of heaven may be likened to a king who gave a wedding feast for his son. The first portion of the parable is divided into two parts: The ingratitude of the Jews, He dispatched his servants to summon the invited guests to the feast, but they refused to come; and the opening of salvation to the gentiles, The feast is ready, but those who were invited were not worthy to come. Go out, therefore, into the main roads and invite to the feast whomever you find. After the hall has been filled with the newly invited guests, the king came in to meet the guests. However, one guest was not dressed in a wedding garment, who was reduced to silence and then bound hand and foot and cast into the darkness outside. We consider who this man is who is cast out from the wedding feast. While the first portion of the parable emphasizes that fact that salvation is indeed offered to all people bad and good alike, the latter scene describes the day of judgment when each will receive the proper reward of his labors. When the king comes into the wedding feast to greet the guests, we are meant to recognize our Savior coming on the day of his judgment. Fr. Cornelius a’ Lapide speaks well, “When the king came in, that he might survey and examine them. This shall take place when God shall come to the general judgment at the end of the world, to judge, and reward or punish all mankind.” This follows the interpretation of Origen and many others. Recognizing that this scene is a representation of the judgment, we can quickly discern what this man is lacking who had no wedding garment. 1. Those who will not be judged and will be saved. 2. Those who will be judged and will be saved. 3. Those who will be judged and will not be saved. 4. Those who will not be judged and will not be saved. When we consider this parable carefully, we will see each of these classes of men. We admit that those who die before the final judgment will have already receive the pronouncement of their eternity in the particular judgment at the moment of their death. 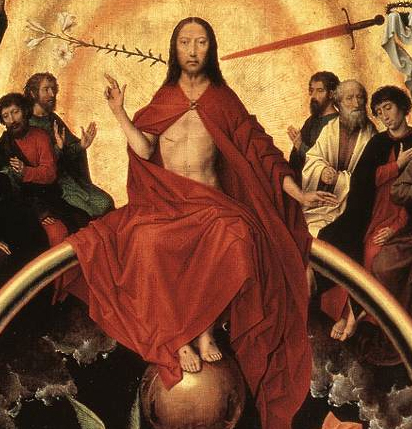 The damned in hell and the blessed in heaven will nevertheless also undergo a general judgment in which the particular judgment is made manifest to all. The judgment given by God at the moment of death certainly cannot change or be altered, yet the general judgment is necessary as extending the authority of God throughout all history. If in the particular judgment God reveals his sovereignty over each individual, in the general judgment this power is revealed as triumphing over all the injustices which occurred throughout the course of human history. Those who will not be judged but will be saved are represented by the servants in the parable of the wedding feast. They go out and call all men to salvation, they are the apostles and other great saints who are so clearly united to the king that there is no need to discuss their merits or demerits. So excellent and holy, these greatest saints will simply be saved without any judgment of their actions, for there is no need to weigh merit and demerit with such as these. Those who will be judged and will be saved are the guests who have come to the wedding feast. Upon the king’s arrival, they are found to be properly clothed and are welcome to remain at the feast. These men and women have died in the state of grace and, upon the inspection of the king, are found worthy. There are also those of the fourth class, who are not judged but are simply damned straight away. These are those who have no meritorious works as never having possessed the gift of faith. Without faith, man cannot please God – without sanctifying grace, no work can be of any value for eternal salvation. These are those who refused to believe but, hardened in their perfidity, refused to come to the wedding feast. These ones are not judged by the king, but rather the king was enraged and sent his troops, destroyed those murderers, and burned their city. These ones are simply damned without any judgment, and this is made manifest on the last day. And now we can see whom this man without a wedding garment represents: Those who are judged, but who are damned. These are those who do have faith and who therefore are united to the Church (either visibly or, at least, invisibly), but who lack charity which gives life to the soul. The man without a wedding garment is the believer who is in the state of mortal sin, lacking charity and good works – this is the teaching of Sts Jerome, Hilary, Gregory, and Augustine, as well as Tertullian. Such is the man who has faith, but no works; present at the wedding feast, he is yet found wanting and will be rejected by the king. Thus, we are encouraged to preserver in virtue and to accomplish good works. Ultimately, it is most necessary that we should die in the state of grace with charity in our soul. Indeed, even if a man were to have worn his wedding garment for most of his life, if he were to throw it away for some cheap momentary pleasure and to be found naked when the king should return! O how sad a thought! To be found without charity’s garment and cast into the darkness of hell! To have traded heaven away so lightly! And yet, the one act which will assure us of being among the few who are chosen is open to all! It is to pray! Prayer assures us of salvation! If only we pray daily for the grace to persevere to the end, and if we pray also during moments of temptation, we shall surely be saved. There is no invisible union to the Church. Only those who enter Her through gate of Baptism, and thus are washed in the laver of regeneration are united to Her, in Her and members of Her/Christ's mystical Body. Marko, so you are rejecting the ancient tradition of baptism by desire then? That comment smacks of heresy. If what i've said smacks of heresy then this smacks of heresy too: "Actually only those are to be included as members of the Church who have been baptized and profess the true faith, and who have not been so unfortunate as to separate themselves from the unity of the Body, or been excluded by legitimate authority for grave faults committed." Mystici Corporis Christi #22. Accusest thou Pope Pius XII of heresy? Church has never taught BOD. She has always said that all those who die as pagans, jews or non-catholics will go to Hell(Florence), and She has always interpreted John 3,5 to be of literal meaning(Florence and Trent) and even anathematizes anyone who says that the sacrament of baptism is optional(Trent) which is very definition of BOD. Also She has always taught that nobody can be saved unless believing the Catholic faith(Florence). Church could never teach that one who doesn't even believe in Jesus can be saved. That is absurd and contrary to the Gospel and the Mission of the Church. Not even the Fathers taught BOD. Only two anybody can quote are st. Augustine and st. Ambrose, but even those two weren't consistent in themselves on the matter because in many places they speak that there is no mystery of regeneration or remission of sins without water, or that uninitiated aren't crowned. St. Gregory Nazianzen rejects BOD explicitly. But let just go by syllogisms of dogmatic facts. You are falling into the heresy of Feeneyism. Baptism of desire is very ancient - when a catechumin dies before being baptized, he is saved through a baptism of desire. And you're just assuming and accusing, and not answering the objections themselves. There is no such thing as Feeneyism, and if you look at the data, fr. Feeney has never been condemned for any doctrinal reasons but because he didn't show up in Rome when summoned, i.e. disobedience, but he was disobedient to noone since nobody told him why he had to show up in Rome, which is his right. And Suprema haec sacra, i.e. protocol 122/49 isn't a document from the Holy Office since it is not published in AAS, but a document of two cardinals to archbishop Cushing of Boston (who btw. boasted about not converting anyone in his whole ministry) and thus has even lesser authority. Moreover, some saints did believe in bod, but reserved only for catechumens, but not for those in "invincible ignorance" - especially missionaries. If invincible ignorance actually saved people then it would be a disservice to them to preach the Gospel since it would make them culpable. Marko, if you want to talk about assuming and accusing ... I will point out that you have taken one line from my article, remived it from all context, and then placed it in the midst of modern debate about "anonymous christians" etc. Your comments truly have nothing to do with my article. You can look elswhere on my blog to find discussion of the three kinds of baptism. I didn't accuse you of anything, nor assumed anything about you but i did tackle a line from your article. You say that people can be invisibly united to the Church, and i say that they can't and then we both expand on that - therefore my comments have to do with your article.